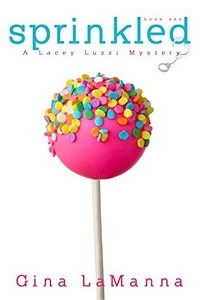 Welcome to my audiobook review of the first in the Lacey Luzzi Mafia Mysteries series from Gina LaManna. 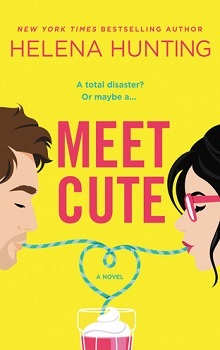 A cute combination of cozy and chick-lit with rather outré chirpy heroine, narrated by Caitlin Kelly. A rather unusual start, Lacey’s stripper mother has died, three years have passed, and she is just discovering her heretofore unknown maternal grandparents. A bit of an odd duck, Lacey is outrageously confident considering her complete lack of skills, sense or experience. Which makes for a rather fun listen: she’s not stupid, just rather clueless. And suddenly she’s discovered her ties to a ‘mafia family”, far less Sopranos and far more Keystone cops. This is a completely unrealistic and utterly fun story: leave your expectations at the door – the mystery is clever, the action is non-stop and the laughs are sprinkled throughout. Lacey and her compatriots are brash, daring, impetuous and missing a key tether to the thought of consequences, which just gives this story a feel of a chick lit / cozy mash up. Narration for this story is provided by Caitlin Kelly, with a voice that is perfectly suited to the character of Lacey: cheerful, chirpy and holding a touch of youth that provide a solid presence for Lacey. Distinct changes in pitch, tone, delivery and accent appear with secondary characters, and make the transitions from character to character easy to distinguish. A clever presentation added to the enjoyment of this story, and kept me engaged. Lacey Luzzi’s rollercoaster of a life has been filled with the highest of highs and the lowest of lows. She just never expected the lows to be so… sparkly. No one chooses their Family, but Lacey Luzzi will be lucky if she can survive hers. 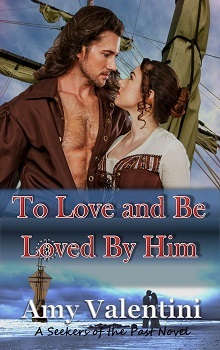 A copy of this title was provided via AudioBook Blast for purpose of honest review. I was not compensated for this review: all conclusions are my own responsibility.